The country is in lockdown and Jacob Johansen is one of the few people who isn’t totally devoid of feelings, emotions, and memories. In this scary and lonely time, Jacob receives a letter that offers an opportunity of a lifetime. But can it be trusted? If Jacob decides to take on this special offer, will he be happy with the results, or will he regret his choice? All this and more will be discovered in Luke P. Narlee’s novel, The Appointment. 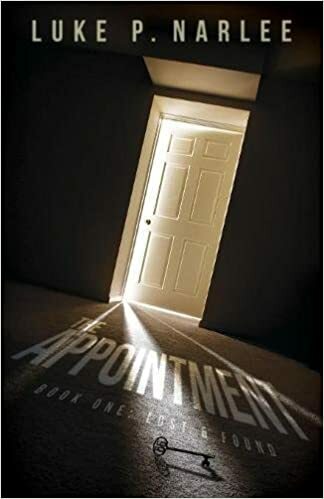 Luke P. Narlee’s novel, The Appointment, is proof that a treasure trove of fantastic indie authors exist. If ever a book can prove a reader wrong that an author must be well-known to be talented, it is The Appointment. The novel is fresh, fast-paced, thrilling, and doesn’t contain a single dull moment. From start to finish, The Appointment keeps its readers interested and on edge. Not only is the novel entertaining, but it also makes one stop and think; questioning humanity at every flip of the page. As someone who tends to be a bit picky about what they read, I must say that I was highly impressed by The Appointment. I instantly fell in love with the plot and Narlee’s writing is fantastic! His words are powerful and have the rare ability to make you feel part of the story; as if you have a deep relationship with the characters and know where they’re coming from. I can honestly say that The Appointment is one of the most creative books I’ve read in a while. I cannot wait to see what the rest of the series has in store! Hi everyone! I thought I would take part of this week to talk about each of the stories included in my new short story collection, Abstract Clarity! Let’s begin with the first story – Historical Hell! Historical Hell is my favorite short story in the collection. I love them all, but Historical Hell was extremely enjoyable and interesting to write. I’ve always thought it would be cool to write a story about the possibility of someone escaping Hell, and in a way I think is very fresh, I created a story that explores the topic. Yet Another Review For Rest in Piece! Adrienne from The Shameful Narcissist Speaks was kind enough to write a review for my novel, Rest in Piece. Here is her review, which can be found on her blog and on Goodreads. “This is a story published independently by fellow writer B. W. Ginsburg who has a blog dedicated to it here. My initial take on Rest in Piece was as a motif similar to the one in The Lake House (a film I haven’t seen, but I know enough to recall that spin) where two characters are living yet communicating decades apart. Ms. Ginsburg’s novel is a bit more sinister than that as Catherine Adams is trapped in a type of purgatory by a mysterious puzzle. This is more of a Jumanji vibe, if Jumanji dealt with demon possession. What the book gets right is the urgency of Louise’s quest and fascinating eeriness of the puzzle. It’s also a swift, easy read, which is not only perfect for the mid-grade group it’s directed towards but anyone who wants to delve into a rousing paranormal tale. Mid-graders will appreciate and identify with many of the hurdles Louise faces in her effort so save the trapped Catherine, and the young girl’s fears for her parents’ reactions are logically sound. She even points this out to her father near the end, and George has to agree. There is an over abundance of telling and exposition in this novel, which unfortunately takes a great deal of the surprise factor away. There are many shocking scenes at the end, which would have had a much greater impact with more concisely edited lines. The characters are also not overly distinctive, so I had to mentally juggle and remember who was who especially during the climax scene where numerous people were involved. George Erikson, Louise’s father, is one exception due to his often explosive temper (not violent though, thank goodness). Rest in Piece: Don’t Forget To Pick Up Your Copy Today! Hey everyone! For those of you who don’t already know, I published my first book ever, Rest in Piece, in October 2016. I then published the paperback of Rest in Piece in December 2016. I have had several readers already enjoy my book and I would love to continue to spread my work with others. Please consider purchasing my book on Amazon! The e-book is priced at $4.99 and the paperback is priced at $14.99. Thank you! “The Erikson family love their new house. Louise especially loves her new room. She has privacy, space to call her own, & the hauntingly beautiful puzzle Mr. & Mrs. Adams gave to her when they moved out hanging on her wall. Then, Catherine Adams – who grew up in what’s now Louise’s room – makes contact with someone 20 years after she mysteriously disappeared. 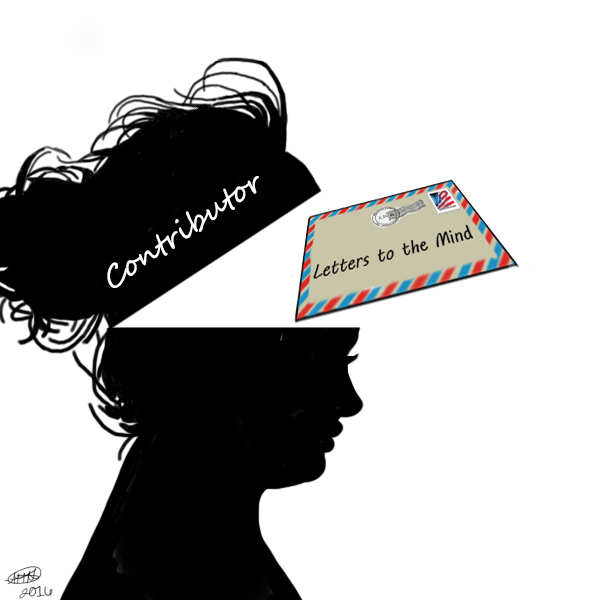 But, it’s not her parents to whom she reaches out – it’s 12-year-old Louise she begs for help. Shouldering the burden alone, Louise finds herself in a bizarre world full of the sublime & the grotesque. A world where one wrong choice could mean the difference between life & death. Special thanks goes to those who have already purchased my book, written reviews, supported my writing by visiting my blog(s), plan on purchasing my book, and/or constantly cheer me on as an author and person! Hey guys! Just at reminder that there are three quizzes you can take on Goodreads for my book, Rest in Piece! You can find these quizzes here. In addition, you can view my author profile on Goodreads and purchase my book on Amazon for either $4.99 or $14.99, depending on whether you wish to purchase the e-book version of the novel or the paperback. You can also find reviews on Amazon and Goodreads for my book as well! I would like to thank everyone who has supported my writing.